Built in 1905, the Spite Tower’s history is clouded by legend. Dr. John Hathaway and his second wife, Claudia Church, built this unique structure for reasons that have been debated for decades. Late in the eighteenth century, the Church brothers—Samuel, Ebenezer, and Nathaniel—came to Adamsville to open a store and saltworks. The brothers became successful pillars of the community, and their children carried on the Church name. 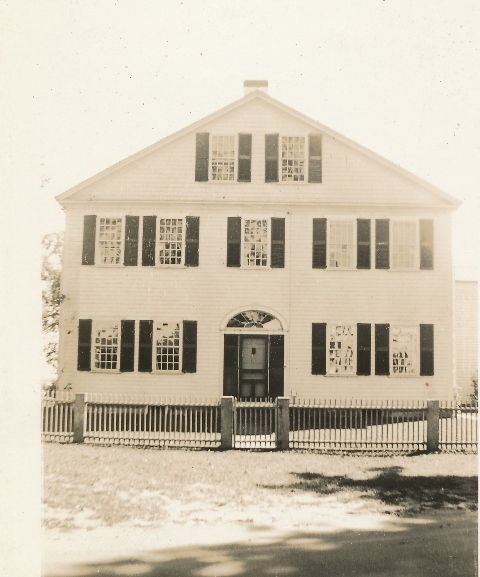 In 1905, Thaddeus Church bequeathed Samuel’s eighteenth century home to his great-niece, Claudia, and her husband, Dr. Hathaway. This new edition of an old Adamsville family, made comfortable though personal and inherited success, moved into the Church house and built what is now called the Spite Tower. In perhaps the most common version of the story, John Hathaway and his good friend Abraham Manchester became embroiled in an unknown dispute. Abraham, as a responsible proprietor, chose to sleep in his store as he had since youth. His sisters, Deborah and Lizzie, placed in a window of their home a white cloth or napkin whose fluttering signaled to Abraham that meals were ready. Legend says that Hathaway built the tower in the line of sight between the Manchester store and home to “spite” his former friend and spoil his dinner. In another version of the story, Dr. Hathaway and Abraham Manchester fought over money. In his will, Thaddeus Church gave $25,000 to Deborah Manchester, which led to rumors of unrequited love between Thaddeus and Deborah. However, Dr. Hathaway had little reason to feel that his wife was slighted by Thaddeus, since she received the family home. Perhaps the most we can say of these legends is that they make good stories. The final version of the story of the Spite Tower is the simplest and most likely: John Hathaway chose this location for his tower because that’s where the well was. This is supported by the building itself, which is in fact a water tower. It has three stories, from top to bottom: the well house, a water tank, and living quarters for the Hathaways’ chauffeur. Some people might be disappointed to learn that the tower was not built for love, money, or spite. But this elaborate well tower retains its name, in spite of history. Spite Tower : This is an early view of the "Spite Tower," most likely constructed to serve as a water tower above an artesian well and supply water to the Hathaway family. Dr. John Hathaway House and the "Spite Tower" : After Dr. John Hathaway and his wife, Claudia, moved into this residence in the early twentieth century, a water tower was constructed on the property to provide gravity-fed water to the house. Known as the "Spite Tower" - and a popular topic of local lore in Adamsville - it is just visible through the trees at the right edge of the photo. 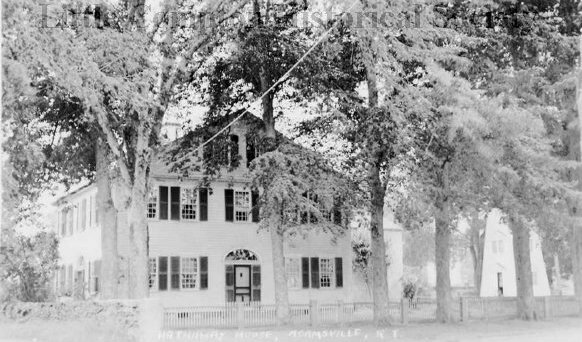 Dr. John Hathaway House : This eighteenth-century house was originally the home of Samuel Church, a prominent member of Adamsville in the 1700s. In 1905, the house was bequeathed to Samuel's great-niece, Claudia Church, upon the occasion of her marriage to Dr. John Hathaway. 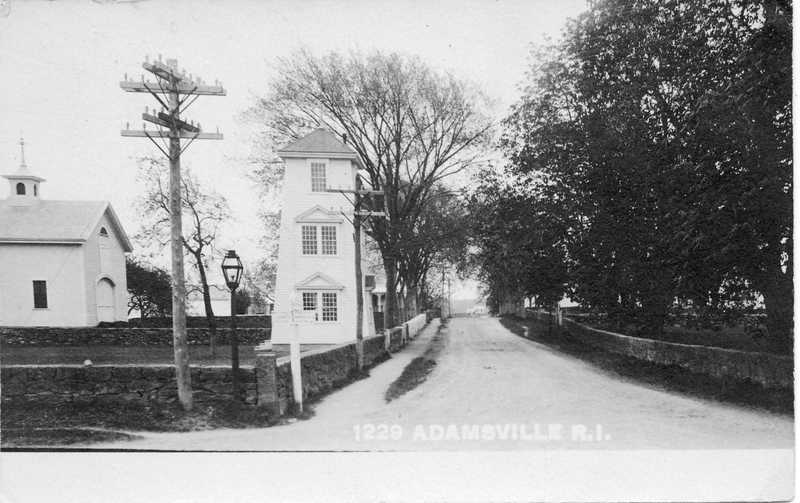 Abigail Ettelman, “The Spite Tower,” Rhode Tour, accessed April 22, 2019, http://rhodetour.org/items/show/114.